‘Penna Suraksha’ – the first vessel carrying 25,000 tonnes of cement has arrived at Q6 Berth of Ernakulam Wharf of Cochin Port on 3 Sept 2018. The cement brought from Krishnapatnam Port is being transferred from the ship to the silos located at the Penna Cement Terminal near Ernakulam Wharf through pneumatic suction. This modal shift in transport of cement from road/rail to shipping is another step towards promoting coastal shipping through cost-effective & environment-friendly logistics envisaged under the Sagarmala Programme of Ministry of Shipping. 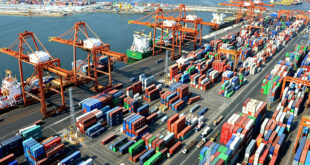 Cement being a high-volume, low-value product, low-cost sea transport is very important as a game changer in logistics. The National Perspective Plan lists coastal movement of cement as an important segment of India’s coastal shipping potential. Shri. A.V. Ramana, Chairman (i/c), Cochin Port Trust and Shri. Goutam Gupta, Traffic Manager, Cochin Port Trust witnessed handling of the first consignment to the Terminal at Ernakulam Wharf. Shri. Santhosh Antony, Unit Head, Penna Cement Industries Ltd. Shri. 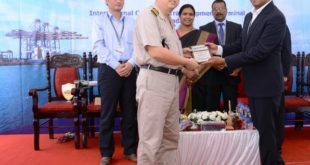 D.Lakshmikantham, Director Technical, Penna Cement, Captain Y.D.Misra, Head of Operations, Penna Shipping Ltd.and Captain S.Shinde, Master of Vessel ,Penna Suraksha were also present. 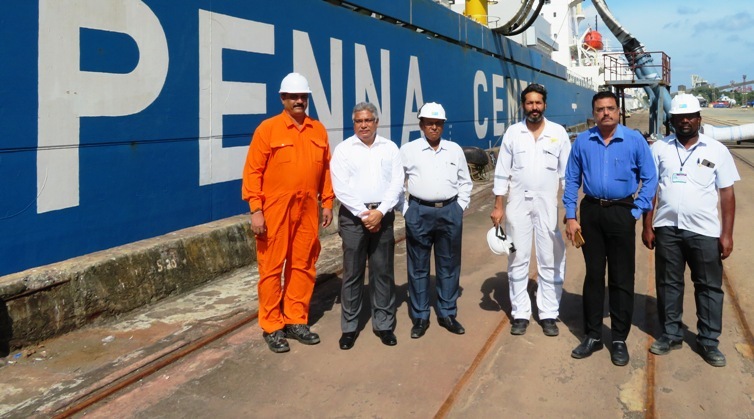 The Bagging Terminal of Penna Cement Ltd. is fourth such terminal in Cochin Port. The terminal set up in 1.14 ha of land leased by Cochin Port Trust is expected to handle 3 lakh tonnes of cement annually. Presently, three Cement Terminals (Ambuja, UltraTech and Zuari) are in operation. Malabar Cements, a Govt. 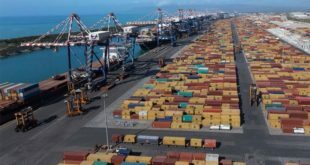 of Kerala Co. has also been allotted land at Cochin Port for setting up a bagging terminal. The three currently operational terminals handle 7,83,000 tonnes of cement annually and a throughput of 1.5 MMT is expected by 2020. The current annual sales volume of Penna Cements for the whole of India is 5.80 MMT of which 0.30 MMT is in Kerala, which is confined to the north Kerala. 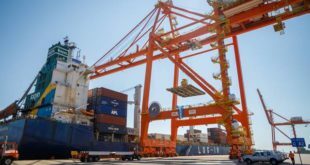 The Cochin packing terminal will be catering to the requirements of central and south Kerala, which therefore is an incremental cargo transported through coastal shipping.